It's Friday. Oh yes. For some reason I always spend more time looking for the perfect home tour on a Friday. 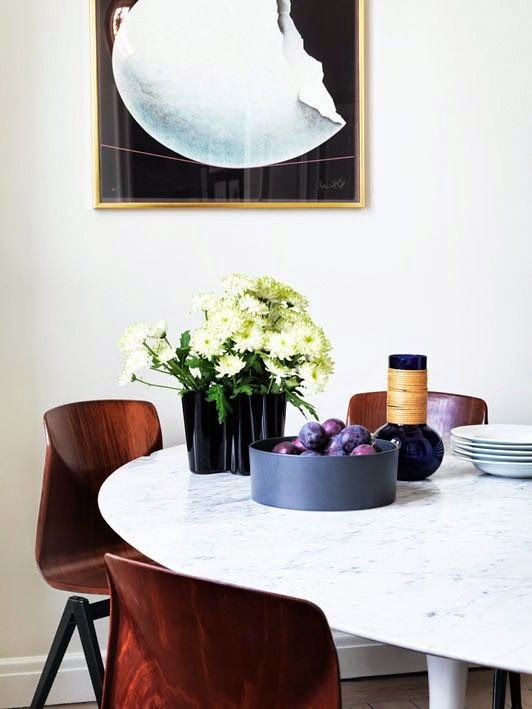 After a lot of rummaging around, today I decided to return to the wonderful portfolio of Jonas Ingerstedt (he really does find the best homes and takes the most beautiful images). 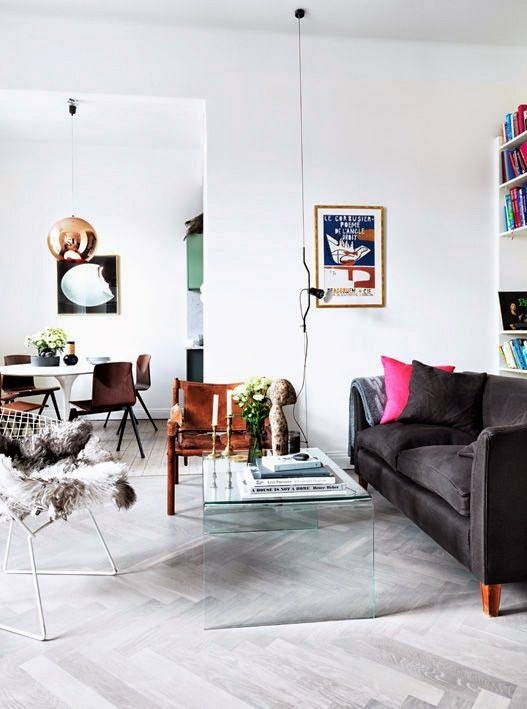 The beauty of this Swedish home is how it shows the true force of adding colour to a space - whether it's the egg shell blue, bright green or the pop of hot pink, there's something about this home that sings, don't you think?! Ooooo, I do like this home, how about you? I have two pieces of exciting news to share with you today. 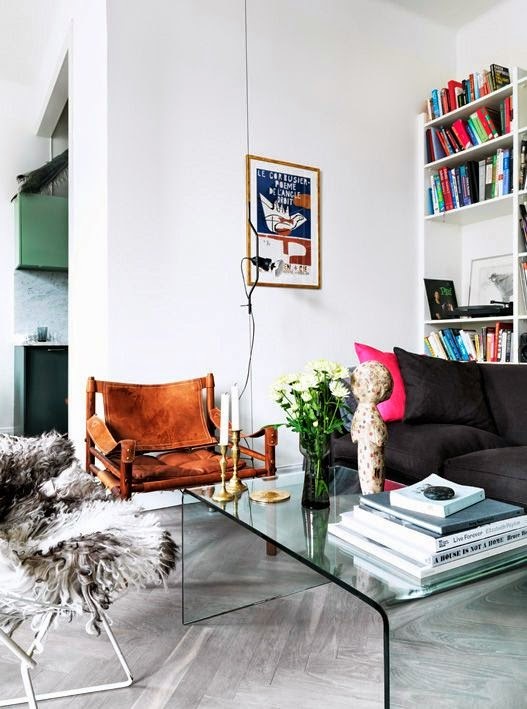 First, Domino included My Scandinavian Home in their list of 26 best design blogs - what an honour? - thank you guys! And secondly, I have an amazing give-away here tomorrow which I am so excited about. Eeeee! Don't forget to stop by over the weekend to enter!! And actually there's something else - I have a new sponsor! I'm proud to present Inspired Design, creator of 'The Rolling Ones' - storage boxes on wheels. I have my eye on 'Mick' for my children's toys, cool yet practical. For more great home inspiration this weekend you might want to check out a whole host of delightful Scandinavian summer cottages here and my Danish home gallery (I can spend hours in both of these places!). I hope you've got some wonderful things planned over the next two days! Have a great Friday and see you tomorrow! That is a beautiful home - I think I need that bit of color in a home. How did they get the floor to look like that? So pretty. As is the rest of the house! 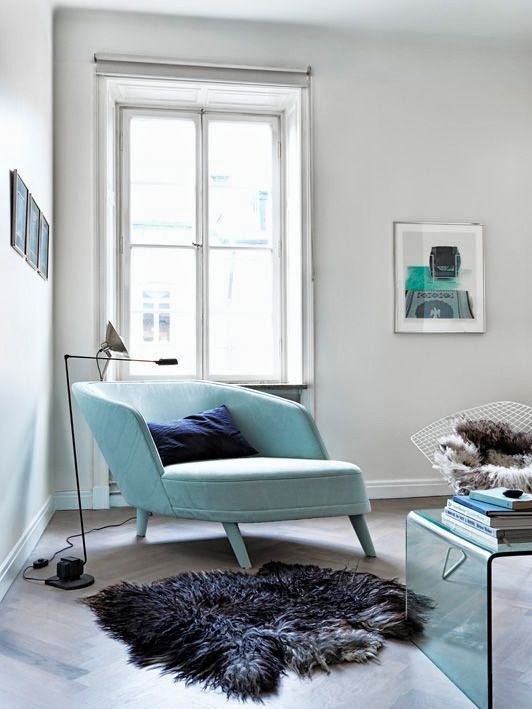 I love the mix selection of furniture and that green wall, perfect touch! love this place. and congrats on the domino feature, what an honor! 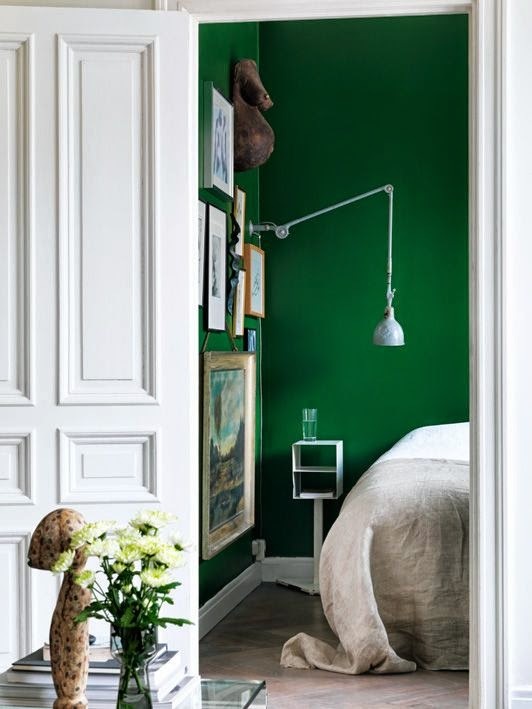 Can you please tell me the name of the green paint color in the bedroom?